The silver screen has boasted many great comedy teams over the years. Laurel & Hardy, the Marx Brothers, Abbott & Costello, and Martin & Lewis all left their mark on film history. Among the comedy teams that can be counted as having had an impact on movie history are the team of Bob Hope and Bing Crosby. What set the team of Hope & Crosby apart from such classic duos as Abbott & Costello or Martin & Lewis is that they weren't actually a formal team. Bing Crosby was a highly successful singer, radio star, and a movie star, truly one of the first multi-media superstars in popular culture. Bob Hope was a very successful comedian, radio star, and movie star, whose films were among the most successful released by Paramount in the Forties and Fifties. That having been said, when they appeared together in the highly successful "Road..." movies, they operated as one of the best comedy teams in films. Watching the "Road..." movies one would never know that they were two individual artists with their own successful careers and not a formal comedy team. While it would be the "Road..." movies that would immortalise the team of Hope & Crosby, Bob Hope and Bing Crosby had worked as a team well before they made the first movie in the series, Road to Singapore (1940). The two first met on October 14 1932 outside the Friar's Club in New York City. At the time Bing Crosby was the much bigger star of the two. As one of "The Rhythm Boys", a trio of singers with Paul Whiteman's orchestra, he had several hits in the late Twenties. As a solo performer he had his own radio show in 1931 and already had such hits as "Out of Nowhere", "Just One More Chance", and "I Found a Million Dollar Baby (in a Five and Ten Cent Store)". In contrast, Bob Hope was still an up and coming comedian working the vaudeville circuit. Despite the fact that Bing Crosby was already a highly successful entertainer, he and Bob Hope would perform as a team not long after the two had met. It was in December 1932 that Bob Hope acted as a master of ceremonies at a two week show held at the Capitol Theatre in New York City. Among the performers at the show was Bing Crosby. Together the two came up with various comedy bits that went over very well with the audience at the Capitol. Although the two would not become a formal comedy team, they discovered that they worked well together and, as a result, would work together many more times. It would be in the next few years that Bob Hope's career would begin to flourish. It was in 1934 that he began appearing on radio. Eventually Mr. Hope made his way to Hollywood in 1937, signing with Paramount Pictures. It was then that he reconnected with Bing Crosby. In fact, an early publicity stunt not long after Bob Hope arrived in Hollywood was a charity golf match between him and Bing Crosby. The two would meet for lunch on the Paramount lot and Bing Crosby had Bob Hope as a guest on his radio show, The Kraft Music Hall. When Bing Crosby was hosting a special Hollywood night at Del Mar, he and Bob Hope performed some of the bits that they had done at the Capitol many years before. It was the production chief of Paramount, William Le Barron, who suggested that the two make a movie together. That having been said, it would be some time before the team of Hope & Crosby would appear in their first film. 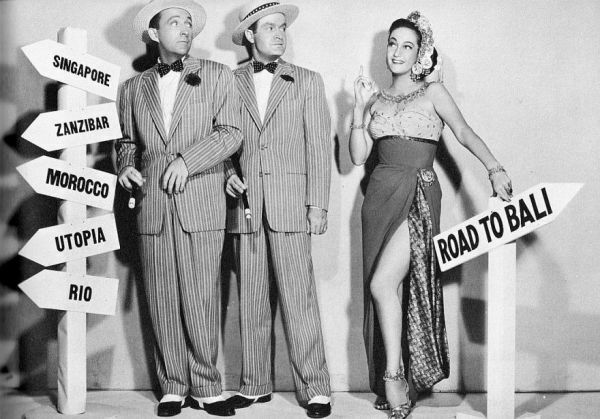 As surprising as it sounds, Road to Singapore did not originate as a project teaming Bob Hope and Bing Crosby, although the origins of the film are a bit obscure. Apparently it originated as a script for Mr. Crosby entitled Follow the Sun. Follow the Sun would be reworked as a script titled Road to Mandalay, with a view to it starring the successful team (and married couple) of George Burns and Gracie Allen. Burns & Allen turned the film down, whereupon it was rewritten for Fred MacMurray and Jack Oakie. The two of them allegedly turned it down, although neither of them could remember doing so. The script was then reworked and retitled Road to Singapore. It was then that it was offered to Bob Hope and Bing Crosby. It would be with Road to Singapore that a third member would be added to the team of Bob Hope and Bing Crosby. Although many people think of Hope & Crosby as a team, when it comes to the "Road..." movies, it should actually be Hope, Crosby, & Lamour. Dorothy Lamour was cast as the romantic interest in Road to Singapore. She was a former big band singer turned Hollywood actress who found herself playing exotic roles in such films as The Jungle Princess (1936) The Hurricane (1937), and Tropic Holiday (1938). She played so many exotic roles that by 1940 she had earned the dubious title of the "Sarong Queen". 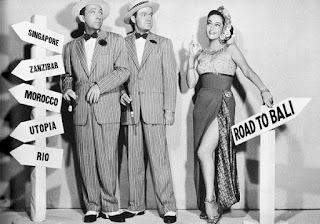 Dorothy Lamour learned on her first day on the set of Road to Singapore that it was useless to pay any attention to the script, as Bob Hope and Bing Crosby simply extemporised as they saw fit. Regardless, in the "Road..." movies she became very much a part of the team, playing straight woman to both Bob Hope and Bing Crosby. Bob Hope would be billed third on Road to Singapore, beneath Bing Crosby and Dorothy Lamour. It would be the only "Road..." movie on which he received third billing. With Bob Hope's film career taking off, afterwards the billing would always be "Bing Crosby," "Bob Hope", and "Dorothy Lamour". Road to Singapore proved to be highly successful. It received generally positive notices from critics. It also did very well at the box office. With such success, it was probably no surprise that there would be a sequel. Road to Zanzibar (1941) was written by the same screenwriters, Frank Butler and Don Hartman. The director of Road to Singapore, Victor Schertzinger, returned as well. While Road to Singapore might have been the first film, it was Road to Zanzibar that would set the course for the rest of the series. It was Road to Zanzibar that introduced many of the in jokes and asides to the audience. To use a modern term, it was with Road to Zanzibar that the "Road..." movies became meta. Dorothy Lamour also became much more a part of the comedy in Road to Zanzibar, every bit the equal of Hope & Crosby in the film. Like Road to Singapore, Road to Zanzibar would prove to be highly successful. Of course, this meant that there would be another "Road..." movie. Indeed, for many Road to Morocco (1942) is the best of the "Road..." movies. If anything else, Road to Morocco is by far the most frantic and most off-the-wall of the "Road..." movies. What is more, it is even more meta than any other entry in the series. In what is one of the film's most famous scenes, a camel speaks and says, "This is the screwiest picture I was ever in". The film's opening number, "(We're Off on the) Road to Morocco", contains references to both Dorothy Lamour and Paramount Pictures. At one point Bob Hope gives a recap of every difficulty they have gotten into (the blame for which he places firmly on Bing Crosby). Bing Crosby replies to Bob Hope, "I know all that! ", to which Bob Hope responds, "Yeah, but the people who came in the middle of the picture don't!" Road to Morocco made more money than any of the other "Road..." movies up to that time, $4 million at the box office. It was also the fourth highest grossing film of 1942. Despite this, it would be several years before another "Road..." movie would be made. Road to Utopia would not begin filming until November 1943. It would not be released until 1946. The film is unique in the "Road..." series in that it is the only one that does not have an actual place in the title. It is also the only film in the series that is not set in modern times. Instead it is set in Alaska at the time of the Klondike Gold Rush. Road to Utopia proved to be another hit. Curiously, Paramount had planned for Road to Utopia to be the last of the "Road..." movies. The studio faced two problems with the later "Road..." films. One was that the movies were expensive to make. Another was that they had problems working around Bob Hope and Bing Crosby's busy schedules. Fortunately, Bob Hope and Bing Crosby wanted to continue making the "Road..." movies. To this end they worked out a deal with Paramount in which they would share the costs of the movie with the studio. Dorothy Lamour was unhappy that she was not included in the deal. Sadly, no one ever asked her. Road to Rio was released on Christmas Day in 1947. Like the previous "Road..." movies it proved highly successful, ranking sixth at the box office for the year. Curiously, it would be another five years before there would be another "Road..." movie. Like Road to Rio, the film was financed by Bing Crosby Enterprises, Hope Enterprises, and Paramount Pictures. Road to Bali (1952) would the only "Road.." movie filmed in colour. It also featured a number of cameos, including Jane Russell, Humphrey Bogart (parodying his film The African Queen), and Dean Martin & Jerry Lewis. Sadly, Dorothy Lamour once again did not share in the profits of the film. Worse yet, she would be excluded from the soundtrack album after saying that she did not think it was fair that she would not be paid as much as Hope & Crosby for her songs on the album. Dorothy Lamour's songs on the soundtrack album would then be recorded by Peggy Lee. Of course, this was only the culmination of a long standing problem for Dorothy Lamour on the "Road..." pictures. Even though she was every bit a part of the team in the movies, she felt she was often given short shrift with regards to the movies. While making Road to Utopia, Miss Lamour showed up to a shoot that was scheduled for 9:00 AM Saturday only to find neither Bob Hope nor Bing Crosby were there. She waited until the afternoon when Gary Cooper dropped by the set. Mr. Cooper told her that she should simply go home. Eventually Hope & Crosby showed up, claiming they were at a charity golf match and had simply forgotten about the scene being shot. Fortunately Bob Hope and Bing Crosby never pulled a stunt like that again. Still, it was another example of why Dorothy Lamour began to feel left out with regards to the "Road..." movies. As to Bob Hope and Bing Crosby's feelings for Dorothy Lamour, the two men differed in that respect. Bob Hope liked Miss Lamour and would even include her on his television specials in later years. Unfortunately, she could not help but think that to Bob Hope she was only "the girl" in the movies. Sadly, although it never showed on the screen, Bing Crosby disliked Dorothy Lamour immensely. If they met in public he would barely acknowledge her. If Dorothy Lamour had reservations about Bob Hope and her place in the "Road.." movies, it was clear that Bing Crosby thought of the "Road..." movies as being Hope & Crosby, with Dorothy Lamour simply being "the girl". Regardless, there would be one more "Road..." movie after Road to Bali. In fact, as soon as Road to Bali was released, there was a script for another "Road..." movie, Road to the Moon. It was set to begin filming in the autumn of 1953, but instead was shelved. Ultimately the next Road movie, The Road to Hong Kong (1962), would be based on an entirely new script. It would be the only "Road..." movie not made by Paramount, instead being made for United Artists. Sadly, it would also be the only "Road..." movie in which Dorothy Lamour was not third billed. Instead the leading lady in The Road to Hong Kong would be a young British actress named Joan Collins. Apparently Bing Crosby thought Dorothy Lamour was too old to play the female lead in the film. To his credit, Bob Hope did not want to make the film without Miss Lamour. Hope & Crosby finally reached a compromise where Dorothy Lamour received a cameo in the film. The Road to Hong Kong was not well received by critics. Despite this, it did respectably at the box office, ranking in the top ten highest grossing films of the year. If things had unfolded differently, The Road to Hong Kong might not have been the last "Road..." movie. It was in the early Seventies that screenwriter Ben Starr (who had co-wrote Our Man Flint, among other films) wrote a screenplay titled Road to Tomorrow. Unfortunately for Mr. Starr, Bob Hope scrapped the project. It was later that Mel Shavelson, who had worked on Bob Hope's radio show and written several of his films, wrote a screenplay entitled Road to the Fountain of Youth. 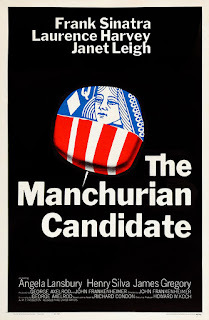 The film was set to begin production in 1977. It would have not only reunited Bob Hope and Bing Crosby, but Dorothy Lamour as well. It was being produced by Lew Grade, who had produced many classic British TV shows. Unfortunately, the project was delayed when Bing Crosby fell off a stage and hurt his back while filming a television appearance. It was then on October 14 1977 that Bing Crosby died, dashing any hope that there would ever be another "Road.." movie. Of course, Bob Hope and Bing Crosby's partnership went beyond the "Road..." movies. One would often appear on the other's radio shows and still later on the other's television specials. In fact, when Philco Radio Time debuted on October 16 1946, it was Bob Hope who was Bing Crosby's first guest. Even when the two were not appearing together, they would often take pokes at the other. It was a rare Bob Hope special in which he did not joke about Bing Crosby, and vice versa. While Bob Hope and Bing Crosby were always close friends in the "Road..." movies and always seemed to be such in their various appearances together, in reality they were not particularly close. The simple fact was that Bob Hope and Bing Crosby were two very different men. Bob Hope was very much an extrovert. On movie sets he was constantly joking with the rest of the cast and the crew. In contrast, Bing Crosby was very much a private man. On movies sets he was more likely to go off on his own. Bob Hope had several friends and acquaintances with whom he interacted. Bing Crosby kept to his family and a few close friends. While the two men might not have been particularly close, they were fond of each and enjoyed working together. When Bing Crosby died, Bob Hope cancelled a scheduled appearance, which was something he almost never did. On Bing Crosby's part, he clearly liked Bob Hope as well. Mr. Hope and his wife were one of only forty people to attend Bing Crosby's funeral, which by his request was closed to the public. While Bob Hope and Bing Crosby may not have been particularly close in real life, they left behind a legacy of work as a team that is matched by only a few. The "Road.." movies remain popular to this day, to the point that even people who are not ordinarily classic movie buffs are familiar with them. Their success lie in the relationship between Hope & Crosby. The two of them often act as rivals, always vying for the hand of Dorothy Lamour. They often make snide remarks about each other. They often get each other in trouble. At the same time, however, there is an underlying affection between the two and one will always go to help the other. While they were never actually a formal comedy team the way Abbott & Costello or Martin & Lewis were, they did truly make a great team. Prolific character actor Joseph Campanella died May 16 2018 at the age of 93. The cause was complications from Parkinson's disease. He appeared in everything from major motion pictures to prime time TV shows to daytime soap operas. Joseph Campanella was born on November 21 1924 in New York City. During World War II he served in the United States Navy, commanding a Landing Craft Infantry Ship in the Philippines. Following the war he graduated from Manhattan College in the Bronx with a degree in English literature. He then studied drama at Columbia University. He had an offer to play baseball in a New York Giants minor league team located in Georgia, but he turned it down in order to pursue acting. For a time he worked as a sportscaster on radio in Lewistown, Pennsylvania. Joseph Campanella made his television debut in an episode of Suspense in 1952. During the Fifties he guest starred on such TV shows as The Guiding Light, Studio One, Robert Montgomery Presents, The United States Steel Hour, Kraft Television Theatre, Omnibus, and Armstrong Circle Theatre. He made his film debut in an uncredited role in Murder Inc. (1960). In the Sixties Mr. Campanella was a regular on the TV show The Nurses, the first season of Mannix, and the TV show The Bold Ones: The Lawyers. He guest starred on such shows as Naked City, The Untouchables, Route 66, The Doctors, East Side/West Side, The Lieutenant, Combat!, Days of Our Lives, Run for Your Life, The Big Valley, The Wild Wild West, The Invaders, The Fugitive, Mission: Impossible, The Virginian, The Doris Day Show, Gunsmoke, Insight, and The Name of the Game. He appeared in the films The Young Lovers (1964) and The St. Valentine's Day Massacre (1967). He appeared on Broadway in The Captains and the Kings, A Gift of Time, and Hot Spot. In the Seventies he continued to appear on The Bold Ones: The Lawyers. He had a recurring role on the sitcom One Day at a Time. He guest starred on such shows as Alias Smith and Jones, Night Gallery, Marcus Welby M.D., The Sixth Sense, The F.B.I., Gunsmoke, The Mary Tyler Moore Show, The Rookies, The Magician, Petrocelli, Ironside, Medical Centre, Police Woman, The Rockford Files, Fantasy Island, and Vega$. He appeared in the mini-series Pearl. He appeared in such films as Ben (1972), Child Under a Leaf (1974), Meteor (1979), Defiance (1980), and Hangar 18 (1980). In the Eighties Mr. Campanella had a recurring role on The Colbys. He guest starred on such shows as Trapper John M.D. ; Quincy M.E. ; Matt Houston; Airwolf; Hotel; Murder, She Wrote; The Golden Girls; Mama's Family; Dallas; Superboy; Beauty and the Beast; and Knot's Landing. He appeared in such films as Earthbound (1981), The Game (1988), A Show of Force (1990), and Club Fed (1990). 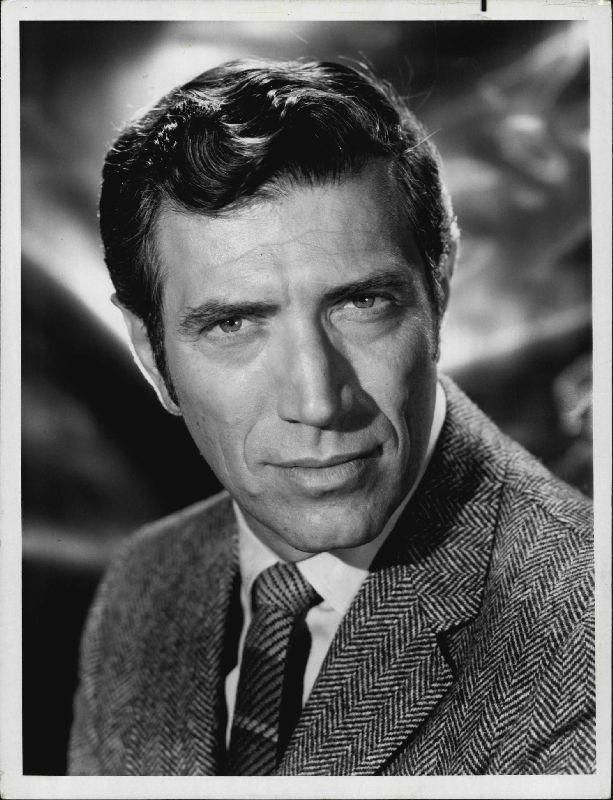 In the Nineties Joseph Campanella began a long run as a regular on the soap opera The Bold and the Beautiful. He provided the voice of Dr. Curt Connors (AKA The Lizard) on the animated series Spider-Man. He was a regular voice on the animated series Road Rovers. He guest starred on such shows as Dark Justice, Baywatch, Pacific Blue, Touched By an Angel, and Melrose Place. He was a guest voice as The Crime Doctor on Batman: The Animated Series. He appeared in such films as Last Call (1991), The Force Within (1993), Too Bad About Jack (1994), and Grizzly Adams and the Legend of Dark Mountain (1999). In the Naughts Mr. Campanella was a regular on the show That's Life and had a recurring role on The Practice. He continued to appear on The Bold and the Beautiful. He guest starred on such shows as Star Trek: Voyager, The Division, Cold Case, and CSI: Crime Scene Investigation. He appeared in the films The Dukes (2007), For Heaven's Sake (2008), and Lost Dream (2009). Joseph Campanella was a remarkable actor. Not only was he very prolific, but he was also extremely versatile. Even in his regular and semi-regular roles on television shows he played a wide array of roles. On The Nurses he played Dr. Ted Steffen. On Mannix he was Joe Mannix's boss, Lew Wickersham, at the detective agency Interect. On The Bold Ones: The Lawyers he played attorney Brian Darrell. He was Judge Joseph Camp on The Practice. Over the years he played everything from police officers to medical doctors to military officers to lawyers to priests. He even played villains from time to time. In The Wild Wild West he played Talamantes, who plotted to seize the throne of an East European country. He did an impressive turn as The Crime Doctor on Batman: The Animated Series. And, of course, he was the voice of The Lizard on the animated series Spider-Man. Joseph Campanella's talent was such that he could play any role given him and be very convincing. Whether as hero or villain, he always turned in a good performance. Of my five favourite musicals of all time, three of them come from between the years 1952 and 1954: Singin' in the Rain (1952), The Band Wagon (1953), and Seven Brides for Seven Brothers (1954). It would seem that the Arthur Freed unit at MGM was on a roll in the early to mid-Fifties, rolling out one classic musical after another. Many of the musicals released by MGM during the period are counted among the greatest musicals of all time. Indeed, if someone does not count Singin' in the Rain, it is sometimes only because they are giving the title to The Band Wagon. In the early Fifties MGM built movie musicals around the songs of noted composers. An American in Paris (1951) drew upon the songs of George and Ira Gershwin. Singin' in the Rain utilised songs by Nacio Herb Brown and Arthur Freed himself. In the case of The Band Wagon, it was built around the songs of Howard Dietz and Arthur Schwartz. The songwriting team was well known for their successful string of Broadway revues, including Flying Colours, Revenge with Music, At Home Abroad, and Between the Devil. 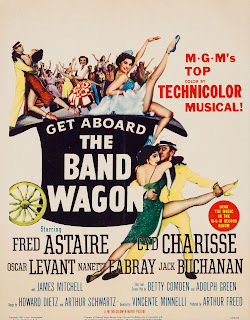 In fact, a good number of the songs in the movie musical The Band Wagon were drawn from the earlier, 1931 Broadway revue also titled The Band Wagon. Other songs were were drawn from Between the Devil and Flying Colours, while "That's Entertainment!" was written specifically for the movie musical The Band Wagon. The screenplay for The Band Wagon was written by the legendary team of Betty Comden and Adolph Green. Comden and Green had already written the screenplays for musicals for MGM, including Good News (1947), The Barkleys of Broadway (1949), On the Town (1949), and, most notably, Singin' in the Rain. The plot centred on Tony Hunter, a musical star whose career is in decline. He is desperately in need of a hit to revitalise his career. Fortunately, he meets his friends, writers Lester and Lily Marton, who had a new stage show that could provide him with the comeback he wants. Fred Astaire was cast in the lead role of Tony Hunter, something that initially made Betty Comden and Adolph Green nervous, as the character of Tony Hunter drew a bit upon the career of Mr. Astaire himself. While Fred Astaire's career was hardly in the dire straits that Tony Hunter's career was, his recent film, The Belle of New York (1952) with Vera-Ellen bombed both at the box office and with critics. Fortunately, Fred Astaire loved the role and had no objections whatsoever to sending up himself. The roles of writers Lester and Lily Marton were loosely based on Comden and Green themselves. Oscar Levant was cast as Lester Marton. Mr. Levant was a successful concert pianist and composer who had already appeared in several movies over the years, including an American in Paris. Nanette Fabray was cast as Lily Marton. She was already a star on the Broadway stage, where she had seen a good deal of success. The role of Gabrielle Gerard, the prima ballerina who is cast alongside Tony Hunter in the Martons' stage musical, went to Cyd Charisse. Miss Charisse had already appeared in many films, most notably dancing opposite Gene Kelly in the "Broadway Melody" sequence of Singin' in the Rain. The Band Wagon gave Cyd Charisse her first leading role. For the pompous director Jeffrey Cordova, Arthur Freed had wanted Clifton Webb, but he turned it down thinking it was too minor. Mr. Webb recommended actor and dancer Jack Buchanan to Mr. Freed. Jack Buchanan was a British musical star whose career went back to the Silent Era. 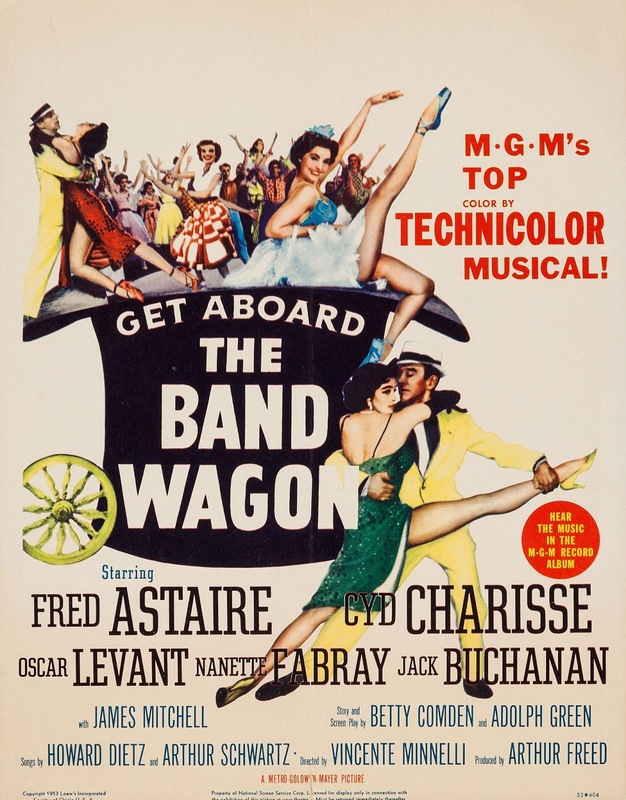 The Band Wagon was directed by Vincente Minnelli, who may well have already been legendary for his musicals. By the time of The Band Wagon, he had already directed Meet Me in St. Louis (1944), Ziegfeld Follies (1945), The Pirate (1948), and An American in Paris (1951). He had been nominated for the Oscar for Best Director for An American in Paris. Of course, with two dancers (Fred Astaire and Cyd Charisse) in the lead roles, choreography was central to The Band Wagon. Michael Kidd had made his name on Broadway, providing choreography for such productions as Finian's Rainbow, Guys and Dolls, and Where's Charley. Prior to The Band Wagon Mr. Kidd had already provided the choreography for the 1952 film adaptation of Where's Charley?. It was Michael Kidd who choreographed the famous "Girl Hunt Ballet" in The Band Wagon. That having been said, he was nervous about choreographing Fred Astaire. The moves Mr. Kidd choreographed for the sequence were different from most of what Mr. Astaire had done in his career. Fortunately, Fred Astaire loved what Michael Kidd had planned, and he would later name "The Girl Hunt Ballet" one of his favourite dances from the movies. As might be expected, Cyd Charisse received plenty of opportunities to show off her dance moves in The Band Wagon. That having been said, she did not get to sing in the film. Her voice was dubbed by India Adams. One musical number featuring Cyd Charisse and the voice of India Adams was filmed for The Band Wagon, but was ultimately cut from the film. The number "Two-Faced Woman" was cut from The Band Wagon, although the recording of India Adams's rendition of the song was later used in the movie Torch Song (1953) for Joan Crawford in what could be considered one of the worst moments of her career (Miss Crawford performed the song in blackface). Although one would not know it from the finished product, the set on The Band Wagon was not a particularly happy one. Fred Astaire's wife was seriously ill while the movie was being shot. Jack Buchanan was undergoing some rather painful dental surgery. Oscar Levant, who was known for his hypochondria even on the best of days, had experienced a heart attack not long before The Band Wagon had started shooting. As to director Vincente Minnelli, his marriage to Judy Garland had seen happier days. 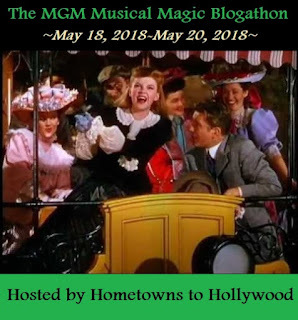 Despite all of this, The Band Wagon would emerge as one of the best musicals MGM ever made. The Band Wagon received overwhelmingly good notices from critics. It also received Oscar nominations for Best Writing, Story and Screenplay for Adolph Green and Betty Comden, Best Costume Design, Colour for Mary Ann Nyberg, and Best Music, Scoring of a Musical Picture for Adolph Deutsch. Despite the respect it received upon its release, The Band Wagon did not do well at the box office. It only made $3,502,000. To put things in perspective, the top grossing film of 1953, The Robe, made $17,500,000. While The Band Wagon did poorly at the box office upon its initial release, its reputation would only grow through the years, as would its popularity. And there are some very good reasons why The Band Wagon is today counted among the greatest musicals ever made. Like Singin' in the Rain before it, The Band Wagon has a very strong script. If one removed the songs and dance sequences from The Band Wagon, he or she would still be left with an excellent comedy. Of course, the songs and dance sequences only make The Band Wagon even better. The movie features some of the best sequences in the history of musicals. The "Triplets" sequence is amazing, a remarkable feat given Fred Astaire, Jack Buchanan, and Nanette Fabray had to dance on their knees (Miss Fabray later described the shooting of "Triplets" as "...just a long day of pain, terror and anxiety"). The "Girl Hunt Ballet" stands as one of the best of the long musical sequences MGM ever made, perhaps surpassing the American in Paris ballet sequence and the "Broadway Melody" sequence of Singin' in the Rain. The Band Wagon featured several excellent musical sequences, including "The Beggars Waltz, "Dancing in the Dark", and "Louisiana Hayride". It should be little wonder that The Band Wagon is often ranked on lists of the greatest musicals of all time. The American Film Institute ranked The Band Wagon no. 17 in its list of the 25 Greatest Musicals of All Time. In 2003 Channel 4 and The Mail did a survey of individuals in the United Kingdom of the greatest musicals of all time and The Band Wagon came in at no. 38. Earlier this year, when the British Film Institute ranked their 10 Great American Musicals of the Fifties, they excluded The Band Wagon, but it came in at no. 1 in suggestions of people from Faceboook and Twitter. While The Band Wagon may have done poorly at the box office, it has only grown in reputation and popularity since its initial release. Today it is widely regarded as one of the best musicals MGM ever made. 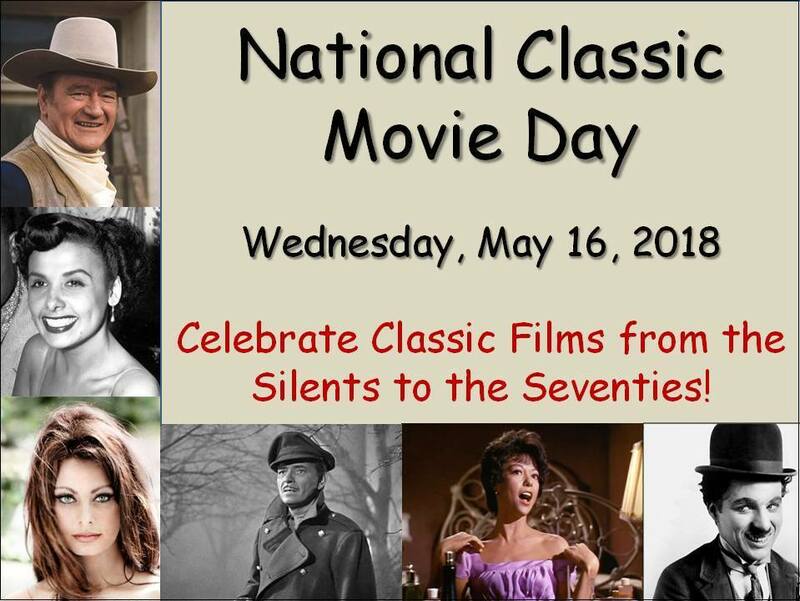 Today is National Classic Movie Day. 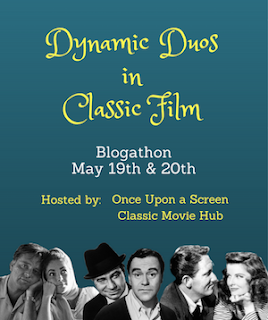 With this in mind and having several epic blog posts to get out in the next few days, I thought I would simply list some of my favourite classic movie quotes. I have to admit that this list is not definitive. There are hundreds of classic film quotes I love, and it is hard to narrow it down to a short list like this. For every one I list, there are several others I could have! Twitter is the social media site on which I am most active. 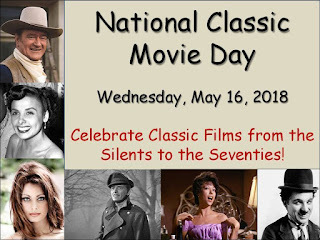 Every single day I post classic film and television birthdays, as well as popular music history (primarily rock 'n' roll, although I do include some rhythm and blues and classic American pop as well). I am part of the TCM Party crowd, so occasionally I will be live tweeting to various movies on Turner Classic Movies! Of course, I also tweet links to posts on this blog and those of my friends as well. Instagram is the social networking service on which I am probably most active besides Twitter and Google+. I post a few classic film, television, and rock 'n' roll birthdays there, as well as assorted classic film and television photos. That having been said, I have to warn you that there are a lot of pictures of my cats! Yes, I have a Facebook page, although I don't post to it much. If you are a long time reader of A Shroud of Thoughts, then you know that I really don't like Facebook very much! I am also on GoodReads. How often I post there depends on how many books I have read. Sadly, that has not been much lately! Okay, this is not a social media site, but my author's page is a good way to keep up to date on my blog. Also, if you want to buy all of my books, you can do that too! For a generation of Superman fans, Margot Kidder was Lois Lane. She played the role in four movies opposite Christopher Reeve, for many the definitive Superman. And while that may be the role for which she is forever best known, over the years she played many remarkable roles. She was Quackser Fortune's love interest in Quackser Fortune Has a Cousin in the Bronx (1970). She played conjoined twins in Brian De Palma's cult classic Sisters (1973). She was the prostitute Margue in Terrence Malick's The Gravy Train (1974). Over the years Miss Kidder played a number of roles. She was arguably one of the great character actresses of our time. Sadly, Margot Kidder died yesterday, May 13 2018, at the age of 69. No cause has yet been released. Margot Kidder was born Margaret Ruth Kidder in Yellowknife, Northwest Territories on October 17 1948. Her father was an explosives expert whose job required the family to move often. Miss Kidder attended the boarding school Havergal College in Toronto. She later attended the the University of British Columbia in Vancouver. She made her television debut in an episode of Wojeck in 1968. She made her film debut in the short "The Best Damn Fiddler from Calabogie to Kaladar" in 1969. Her first feature film was Gaily, Gaily (1969). She appeared in Quackser Fortune Has a Cousin in the Bronx the following year. She guest starred on the TV shows Festival, Corwin, The Mod Squad, and Adventures in Rainbow County. She had a recurring role on the Canadian TV series McQueen. The Seventies would be a very busy time for Margot Kidder. She had a regular role on the short lived TV show Nichols. In addition to Sisters, Superman (1978), and Superman II (1980), she appeared in the films A Quiet Day in Belfast (1974), The Gravy Train, Black Christmas (1974), The Great Waldo Pepper (1975), The Reincarnation of Peter Proud (1975), 92 in the Shade (1972), Shoot the Sun Down (1978), The Amityville Horror (1979), and Willie & Phil (1980). She guest starred on the TV shows The Manipulators, Banacek, The Wide World of Mystery, Harry O, Barnaby Jones, Baretta, and Switch. In the Eighties Miss Kidder appeared in the films Some Kind of Hero (1982), Miss Right (1982), Trenchcoat (1983), Superman III (1983), Little Treasure (1985), Keeping Track (1986), Superman IV: The Quest for Peace (1987), Mob Story (1989), and White Room (1990). On television she had a regular role on the short lived show Shell Game. She appeared in several TV movies, including Bus Stop, Pygmalion, The Glitter Dome, and Body of Evidence. She guest starred on the show The Hitchhiker. In the Nineties Miss Kidder was a regular voice on the animated TV shows Captain Planet and the Planeteers, Phantom 2040. She had a regular role on the show Boston Common. She guest starred on such TV shows as Tales from the Crypt; Street Legal; Murder, She Wrote; The Adventures of the Black Stallion; Burke's Law; The Hunger; La Femme Nikita; Made in Canada; and The Secret Adventures of Jules Verne. She appeared in the films Aaron Sent Me (1992), La Florida (1993), Maverick (1994), Windrunner (1994), The Pornographer (1994), Beanstalk (1994), Henry & Verlin (1996), The Planet of Junior Brown (1997), Shadow Zone: My Teacher Ate My Homework (1997), Silent Cradle (1997), The Hi-Line (1999), The Clown at Midnight (1999), The Annihilation of Fish (1999), Nightmare Man (1999), and Tribulation (2000). In the Naughts Margot Kidder appeared on such TV shows as Law & Order: Special Victims Unit, Earth: Final Conflict, Smallville, Robson Arms, The L Word, and Brothers & Sisters. She appeared in such films as Crime and Punishment (2002), The Last Sign (2005), The Box Collector (2008), A Single Woman (2008), Universal Signs (2008), and Halloween II (2009). In the Teens Miss Kidder guest starred on the TV show R.L. Stine's The Haunting Hour, for which she won an Emmy Award for Outstanding Performer in a Children's or Pre-School Children's Series. She appeared in such films as Servitude (2011), 3 Of a Kind (2012), Real Gangsters (2013), Pride of Lions (2014), The Red Maple Leaf (2016), and The Neighbourhood (2017). Margot Kidder was not necessarily my favourite Lois Lane (that would be Noel Neill), but I have to say that she was incredible in the role. Her Lois was feisty, tough, quick witted, and intelligent, but at the same time kind hearted and caring. Of the actresses who played Lois, it was Miss Kidder who really brought home the point that Lois actually does care for Clark Kent. Of course, as identified as Miss Kidder was with the role of Lois Lane, she played many other remarkable roles in her career beyond those I mentioned above. While the movie Black Christmas is of debatable quality, Margot Kidder delivered a great performance as sorority sister Barb. She also gave a remarkable performance as the free-spirited Rita in Heartaches. She was delightful as Ruth, the love interest of the protagonist of the title the short-lived show Nichols Margot Kidder consistently gave good performances throughout her career, whether she was in a major motion picture, a B-movie, an independent film, or an episode of a TV show. She was an enormously talented actress with a good deal of versatility. Many movie buffs enjoy watching movies with their mothers. As a result, watching films is an activity many engage on Mother's Day. For every A Tree Grows In Brooklyn (1945), I Remember Mama (1948), or Sounder (1972), however, there are those films that just aren't suited to viewing with Mom on what is supposed to be her day. Here are five movies you probably don't want to watch with your mother on Mother's Day. 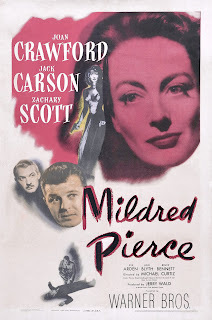 Mildred Pierce (1945): Don't get me wrong. Mildred Pierce (played by Joan Crawford) is not a bad mother. About the worst thing that can be said about her is that she perhaps spoils her children. In fact, she may have spoiled Veda (played by Anne Blyth) too much. Veda is every parent's worst nightmare: a daughter who resents and hates her mother and appreciates nothing she does for her. Given the mother-daughter dynamic in the film, one might not want to watch this with Mom (at least not on Mother's Day). Notorious (1946): Madame Sebastian (Leopoldine Konstantin) is not mentioned often on lists of bad mothers in movies, but there is every reason she should be. As if being a dedicated Nazi wasn't enough, she insists on dominating her son's life and resents his relationship with Alicia (played by Ingrid Bergman) even before the truth is revealed. Of course, once Madame Sebastian knows the truth about Alicia, she suggests poisoning her. One thing is certain. Madame Sebastian probably never won the Mother of the Year award! 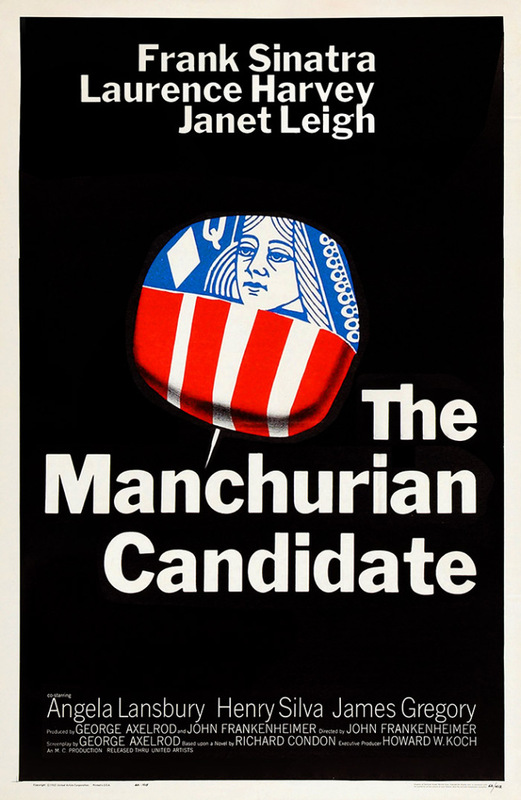 The Manchurian Candidate (1962): If it were up to me, Eleanor Iselin (played by Dame Angela Lansbury) would top the list of every "Worst Mothers on Film". "Domineering and "manipulative" don't even begin to describe Eleanor. "Power mad" doesn't even seem enough to describe her. In fact, what can one say about a woman who wilfully uses her own son for her own ends and those of her cause? Dame Angela Lansbury gives a bravura performance in the role, made all the more remarkable by the fact that she was only three years older than the man playing her son (Laurence Harvey).